Teachers are more than just educators. They’re counselors for students going through hard times. They’re role models for young people trying to find their way. They’re cheerleaders helping celebrate successes big and small. But teachers have another skill they may not even recognize themselves: Teachers make great homebuyers. 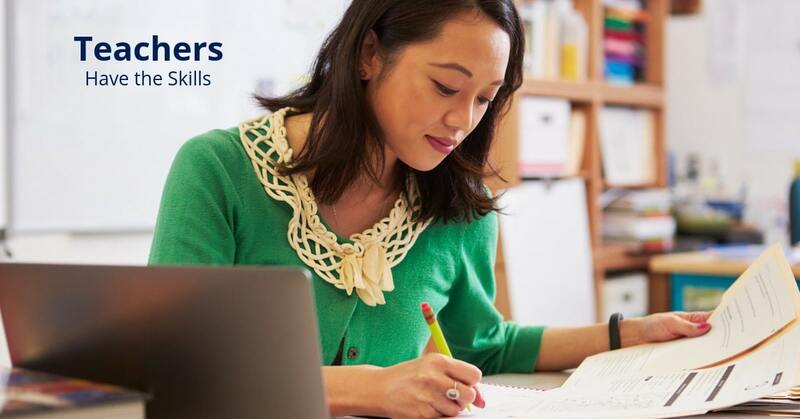 The homebuying process can be extremely complex, but teachers are prepared for the journey because of the skills they’ve developed in their profession. From emotional intelligence to more practical skills, here are the top characteristics that make teachers great homebuyers. Ask any teacher what it takes to make it through an entire school year and they’ll probably say lots of coffee and organization. Teachers need to be organized to survive, and in the incredibly complex homebuying process, those organizational skills serve teachers well. From tracking listings to lining up financing, teachers make great homebuyers because they are really good at making sure everything is ready and accounted for. If there’s one thing many teachers do extremely well it’s identifying potential. Teachers thrive on helping students unlock their potential and achieve their goals. It’s no different when it comes to buying a home. Whether it’s a true fixer-upper or just a home in need of a few cosmetic updates, teachers are great at identifying potential and envisioning possibilities. Class doesn’t end just because the projector goes out or the markers have suddenly disappeared. Teachers are great at adapting to a changing situation on the fly and bringing everything back toward the ultimate goal. This is a useful skill when buying a home, as the process is rarely straightforward. Whether it’s being outbid on a home you wanted, or changing your search area, teachers make great homebuyers because they can handle the curveballs and keep the homebuying process on track. Most teachers get into education because they have an innate desire to improve the lives of young people and their communities as a whole. This can help teachers in their home search because they know the importance of being a good neighbor and getting involved in a new community. Teachers will ask questions about the neighborhood, the school district (of course), local issues, and how home prices are trending in the area. All of these are critical elements when deciding whether to buy a house. But more than anything, teachers want to improve communities, and that’s a big why teachers make great homebuyers. Buying a home can be an incredibly emotional process. There’s the stress of the search, the anxiety of a major financial decision and disappointment if you miss out on the house you wanted. Thankfully, teachers have the emotional maturity and intelligence to cope with the homebuying process. Teachers are able to navigate their emotions and not get flustered when things go awry. They can also keep focused and not let emotions cloud their ability to think rationally and analytically when making big decisions. After all, if teachers can handle moody and irrational students, the stress of a house hunt should be a piece of cake, right? Are you a teacher looking for a new home? Sign up today and see how Homes for Heroes can save you thousands.